In conjunction with the Association of Women in Science (AWIS), we hosted an entertaining evening at Autodesk where Dr. Kristen Lee taught us create positive habits and identified key strategies for preventing burnout and stress overload. Her discussion was followed by a panel discussion featuring local industry leaders sharing their career experiences and how resiliency has played a critical role in their success. In collaboration with the Association for Women in Science- Boston, SWE Boston invites all members to join in learning from Dr. Kristen Lee (known as Dr. Kris), an award-winning behavioral science professor, clinician and author, on how to manage stress, create positive habits and identify key strategies for preventing burnout and stress overload. Dr. Kris will be discussing her book Reset: Make the Most of Your Stress. A copy of her book can be purchased for an additional $10 when registering. Her discussion will be followed by a panel discussion featuring local industry leaders sharing their career experiences and how resiliency has played a critical role in their success. ​NOTE: All visitors to Dell EMC must show government-issued proof of identification, such as a driver's license, green card or a passport. ​Parking is available at the meters in front of 23 Drydock Ave or in the garage down the street (12 Drydock Ave, Boston). Any parking in other spots may lead to tickets since most other spots are reserved. Dr. Kristen Lee, Ed.D., LICSW, known as “Dr. Kris”, is an award-winning behavioral sciences professor, clinician and author from Boston, Massachusetts. As the Lead Faculty for Behavioral Science at Northeastern University, Dr. Kris’s research and teaching interests include individual and organizational well-being and resilience, particularly for marginalized and underserved populations. 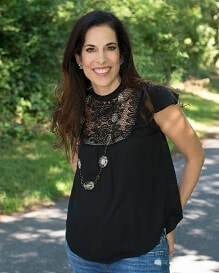 She operates a clinical and consulting practice devoted to preventing and treating burnout and is the author of RESET: Make the Most of Your Stress, Winner of the Next Generation Indie Book Awards Motivational Book of 2015, and the upcoming Mentalligene: A New Psychology of Thinking: Become a More Agile, Mindful and Conscious Citizen. She is a regular contributor for the Huffington Post and Psychology Today. Dr. Kris’s work has been featured on NPR and CBS radio. Dr. Kris is a Licensed Independent Clinical Social Worker known for her advocacy in promoting increased mental health integration in social policies and institutions to facilitate access and improved health outcomes in the U.S. and across the globe. She has served at as a U.S. federal grant reviewer for the Departments of Minority Affairs, Substance Abuse and Mental Health Administration, and Health and Human Services. She is a member of the National Association of Social Workers and the American Psychological Association. She holds a BS from Worcester State University, MSW from Boston University and an EdD from Northeastern University. In 2011, Dr. Kris was the recipient of an Excellence in Teaching Award from Northeastern University for her “depth of knowledge” and “engaging teaching style”. In 2015, she was honored with the Distinguished Professional Achievement Award from Worcester State University as “a leader who lives by the highest intellectual and ethical standards”.